Come and join us at Oceanflow Yoga to celebrate the Spring Equinox and the change of Seasons! As we teach yoga here with the Seasons in mind, we thought there was no better way than welcoming in the Spring with 108 Sun Salutations! We will be running 2 classes on Friday 21st March for this experience – 7am Sunrise and 9.30am Seasonal Flow. You can reserve your spot online by following the link to group classes. So what’s this 108 Sun Salutations all about? It’s a powerful experience that will stretch you and leave your yoga practice changed. Along with being an incredible way to detox, physically and mentally, this experience will stretch and expand you to the core and is good for anyone who’s looking to fulfil a personal challenge! 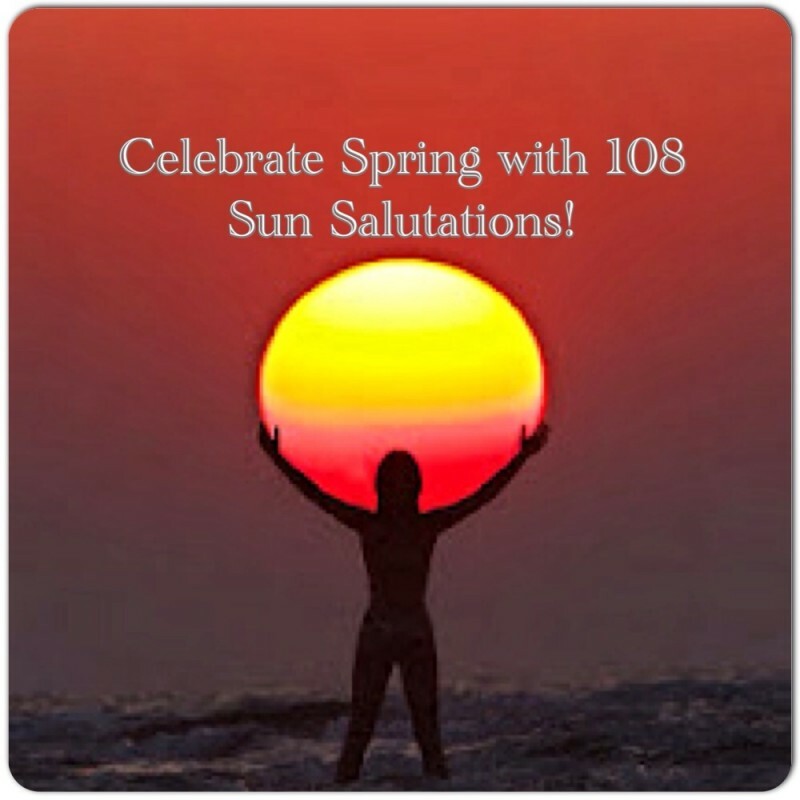 There are many reasons why we do 108 Sun Salutations at the beginning of each season. 108 is said to be an auspicious number and its significance is open to interpretation. But 108 has long been considered a sacred number in Hinduism and yoga. Traditionally, malas, or garlands of prayer beads, come as a string of 108 beads (plus one for the “guru bead,” around which the other 108 beads turn like the planets around the sun). A mala is used for counting as you repeat a mantra—much like the Catholic rosary. Also, renowned mathematicians of Vedic culture viewed 108 as a number of the wholeness of existence. This number also connects the Sun, Moon, and Earth: The average distance of the Sun and the Moon to Earth is 108 times their respective diameters. Such phenomena have given rise to many examples of ritual significance. According to yogic tradition, there are 108 pithas, or sacred sites, throughout India. And there are also 108 Upanishads and 108 marma points, or sacred places of the body. We look forward to saluting with you this Friday!